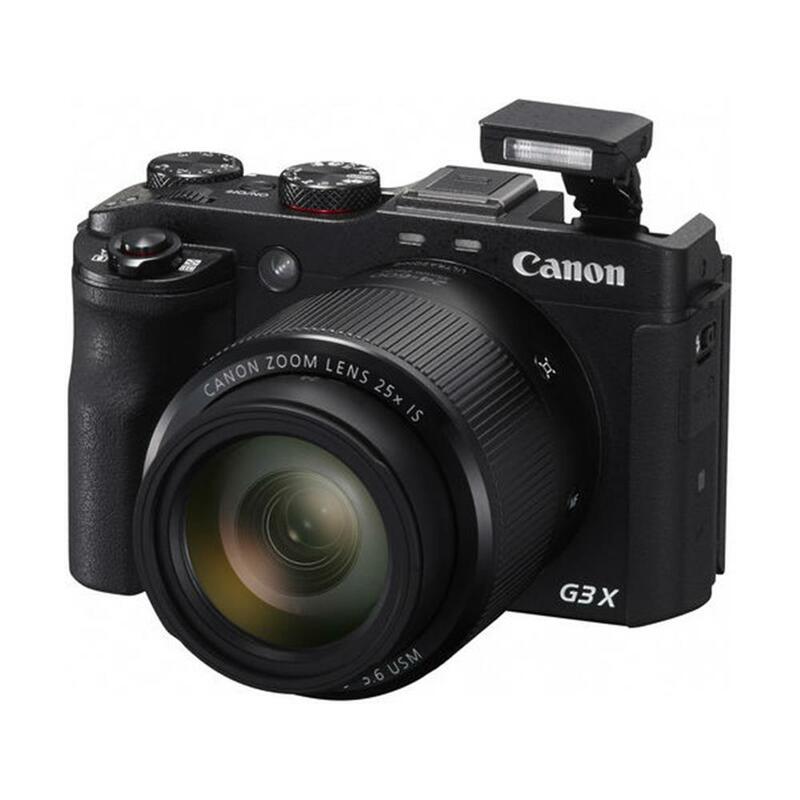 The PowerShot G3 X incorporates a powerful 25x Optical Zoom (24-600mm) lens for seamless telephoto shooting and unmatched versatility. 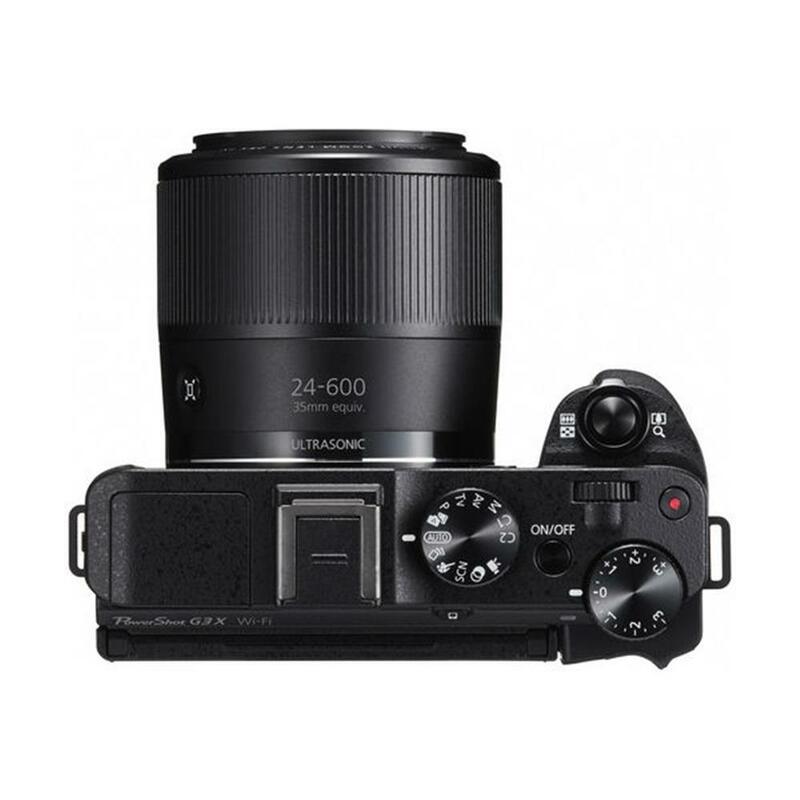 You'll capture everything from the widest landscapes to dynamic close-ups in precise detail - all without changing a lens. The culmination of decades of EF lens know-how, the bright, all-new f/2.8-5.6 lens uses cutting-edge construction to prevent aberration and peripheral illumination loss over the entire telephoto range, delivering reliably high image quality with every shot. The lens's 9-blade aperture diaphragm creates beautiful circular background blur. Micro USM II drives the high-speed, silent zoom, with smooth, high-precision focusing for professional-quality video shooting. It's easy to capture clear, steady images with PowerShot digital cameras, even in low light without using a tripod. That's because the camera is equipped with Canon's innovative Intelligent IS. The system automatically analyzes camera movement and applies the best shake correction method for the shooting situation - allowing you to focus on framing and capturing your shot. For stills, the system selects from Normal IS, Panning IS, Macro (Hybrid) IS and Tripod modes. When shooting video, the system selects from Dynamic IS, Powered IS, Macro (Hybrid) IS and Active Tripod IS modes. New icons clearly mark the image stabilization mode, whether you're shooting still images or video. 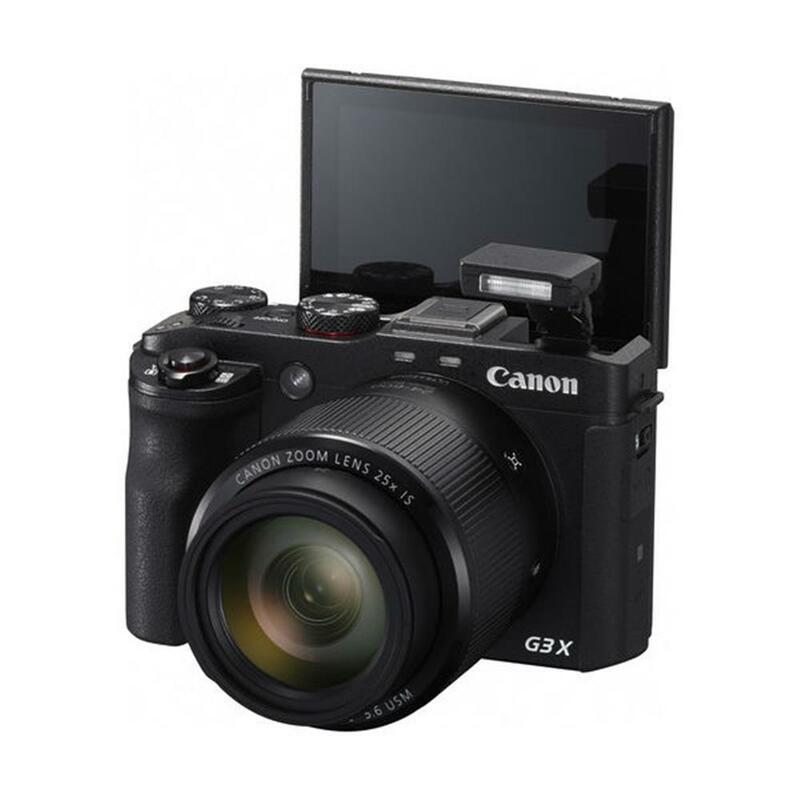 The PowerShot G3 X camera's LCD screen can tilt up 180 degrees, so taking that perfect selfie is a snap! 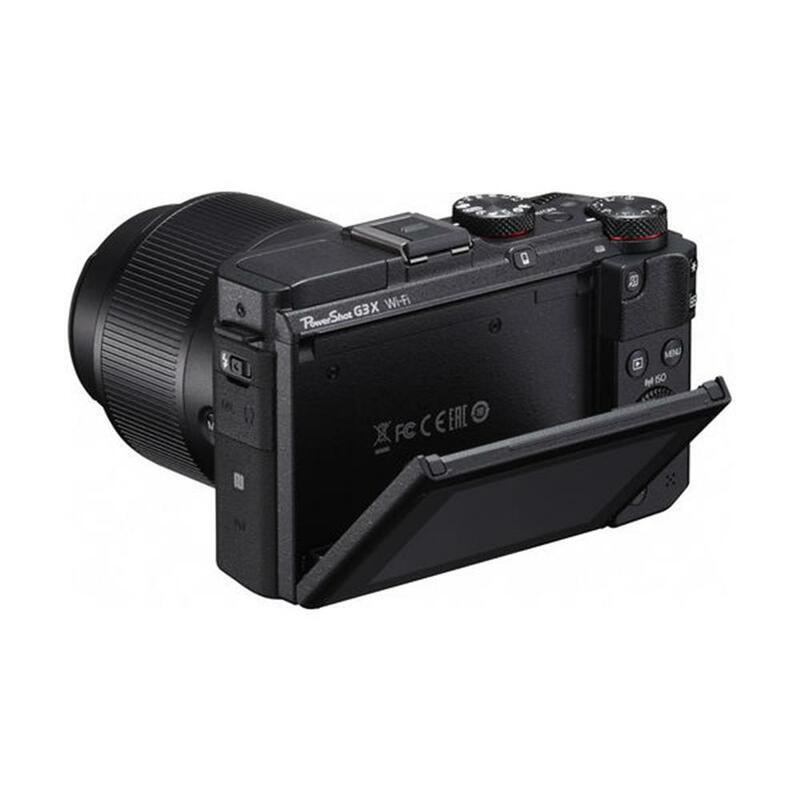 In fact, the multi-angle LCD encourages creative framing because it's easy to achieve a flexible array of camera angles. 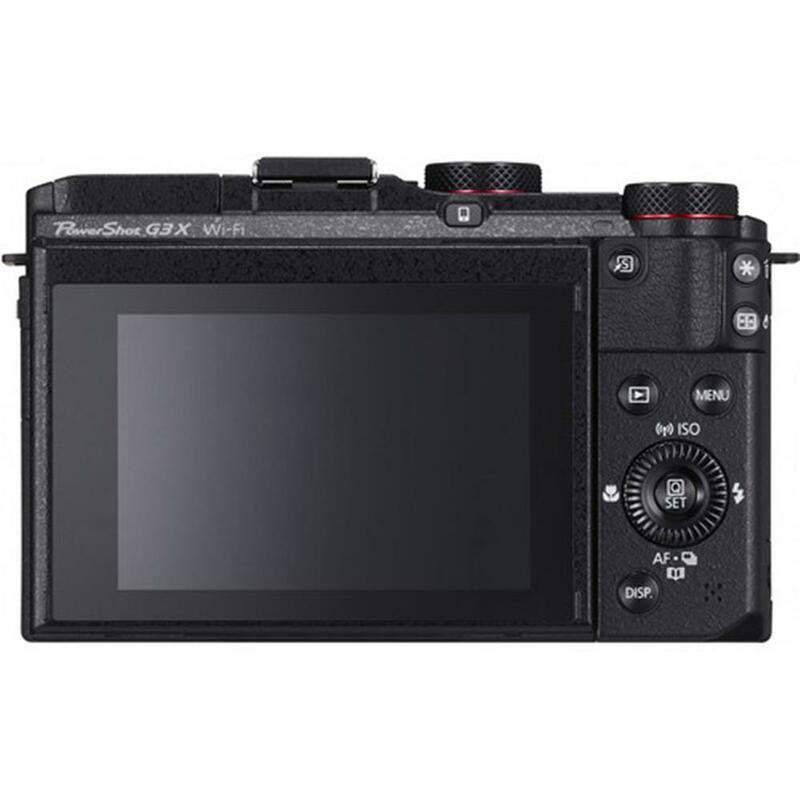 Capacitive touch-panel operation feels familiar right away: simply touch to access quick control settings, focus and shutter release right on screen. A resolution of 1.62 million pixels makes the glare-free display ultra crisp and clear, so it's easy to compose your shots, choose camera settings, and review and share your images. 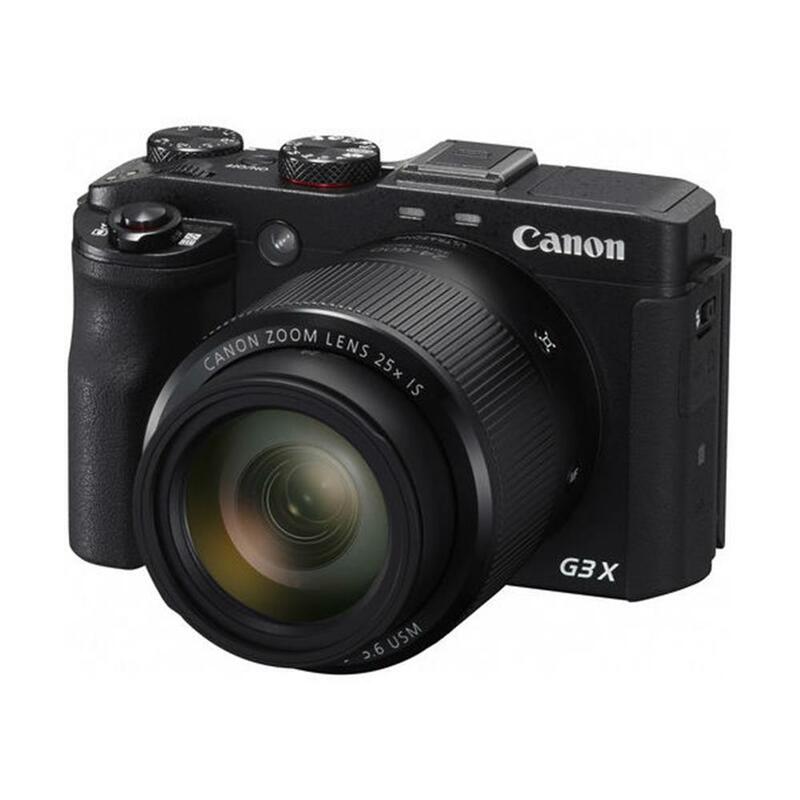 The PowerShot G3 X features built-in Wi-Fi technology for on-the-go convenience when you want to share your photos and videos with friends, family and the whole world. Easily post your images to social networking and media sites - Facebook, Twitter, YouTube, Flickr, and Google Drive - through CANON iMAGE GATEWAY (One-time registration is required on CANON iMAGE GATEWAY online photo album.) directly from your PowerShot camera, or save them to the online photo album to share anytime, anywhere. The camera can also connect directly to both iOS and Android devices*, and upload images via the free Canon Camera Connect app* without a computer. You can control the destination of your uploads to share with everyone or to selected groups, and even add comments. Sharing video is also easy with Wi-Fi equipped PowerShot cameras, which record video using the easy-to-share MP4 format. Enhanced Wi-Fi® makes posting in real time possible, so you can keep everyone up to date with photos and video even as events unfold. Wi-Fi technology also allows you to transfer images to other Wi-Fi® equipped PowerShot cameras or print your photos directly to a PictBridge (Wireless LAN) certified printer. 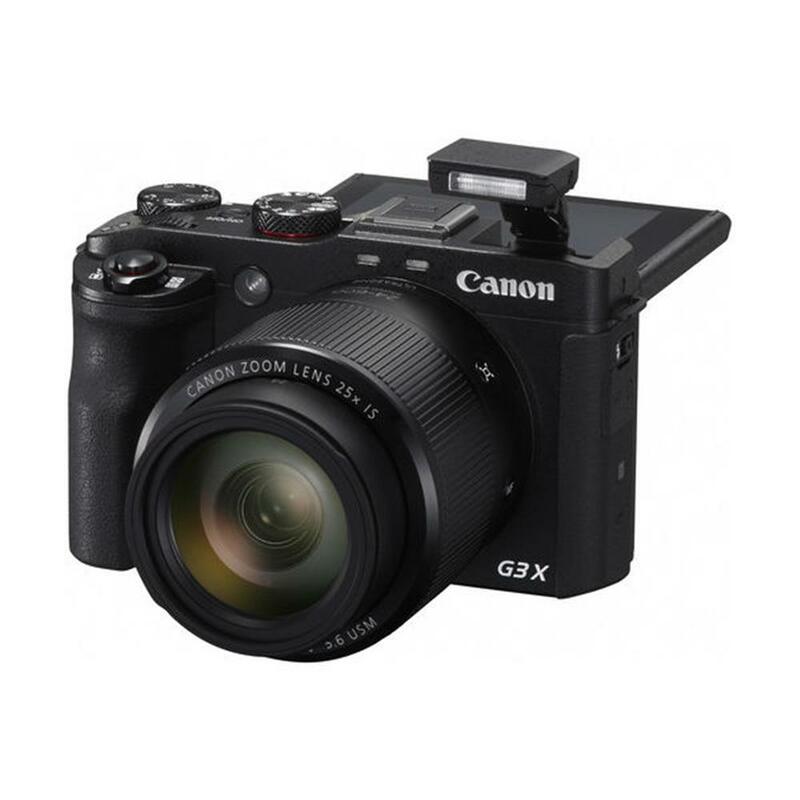 PowerShot digital cameras with built-in NFC (Near Field Communication) technology eliminates the need to manually find and open the new Canon Camera Connect app* on your mobile device. Simply touch the NFC icon on your camera to your compatible Android device**, and the Camera Connect app will launch automatically for quick, easy sharing of your images. Built-in NFC technology also makes it simpler to install the app. If the app hasn't been installed yet, once you touch the devices together for the first time, the download screen will display automatically. Now, NFC helps ensure making a connection to a compatible Android device* truly seamless. Simply touch the camera against an NFC-equipped device with the Canon Camera Connect app installed, and the Wi-Fi connection is established - no camera operations required. Even if your camera is off, NFC turns the camera on and establishes the connection (confirming the camera's nickname and privacy settings before the first connection is required). The camera's dedicated Mobile Device Connect Button gives you one-touch access to your compatible mobile device or computer (utilizing Image Sync function). You can transfer photos and videos to your smartphone or tablet for immediate sharing to a computer on the same network. When the camera finds a linked computer on the same wireless network, images are sent directly to it. Otherwise, images are temporarily stored on CANON iMAGE GATEWAY*** then transferred once a connection is made - very convenient when you're on vacation or out for the day. 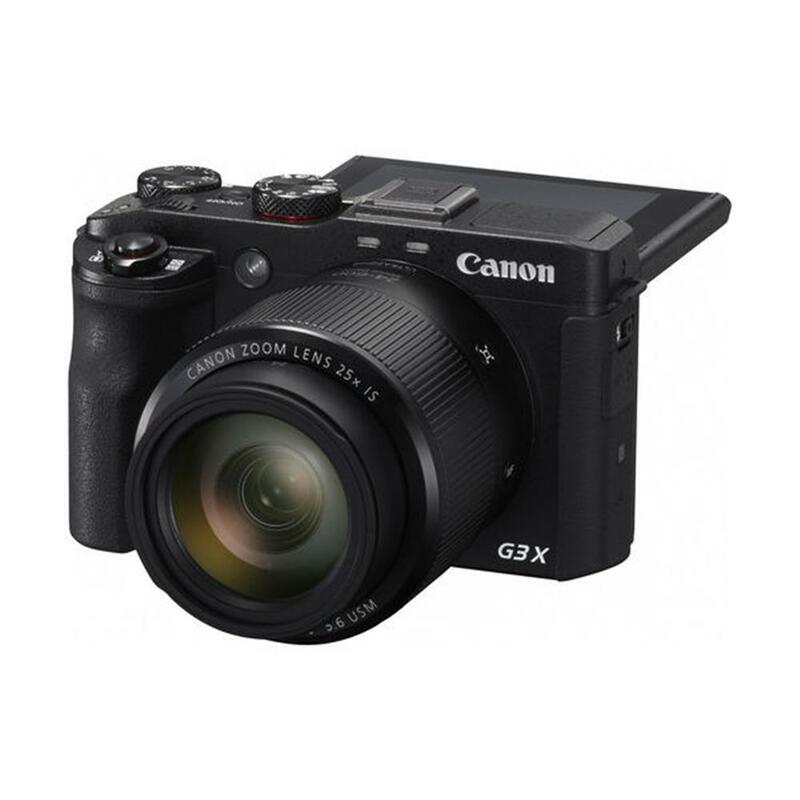 The PowerShot G3 X camera is fully compatible with Canon's brand new photo and video storage device: Connect Station CS100. By simply tapping with NFC, photos and videos are wirelessly transferred to the Connect Station, where up to 1 TB of hard drive space and simple menus make them easy to store, manage and sort by albums, date or device name. From there, images and videos can be viewed in Full HD on an HDTV (via an HDMI cable), sent to compatible wireless printers, viewed/uploaded/downloaded from smartphones and tablets or PCs, and shared with other Canon Connect Stations and on social networking sites. 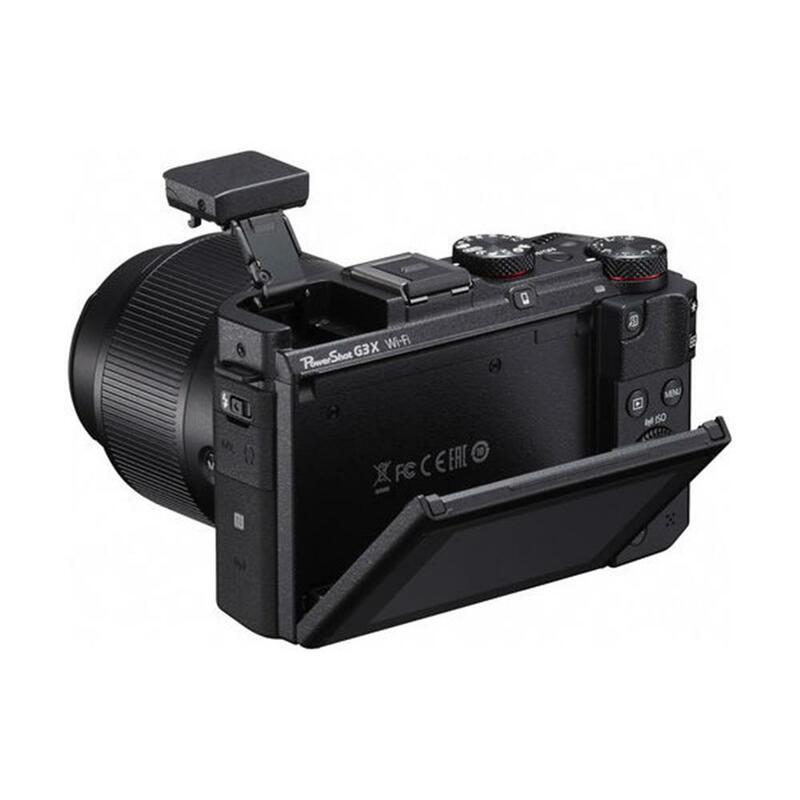 The optional Electronic Viewfinder EVF-DC1 offers a high-resolution view and displays all shooting information in a brilliant and easily attached accessory. 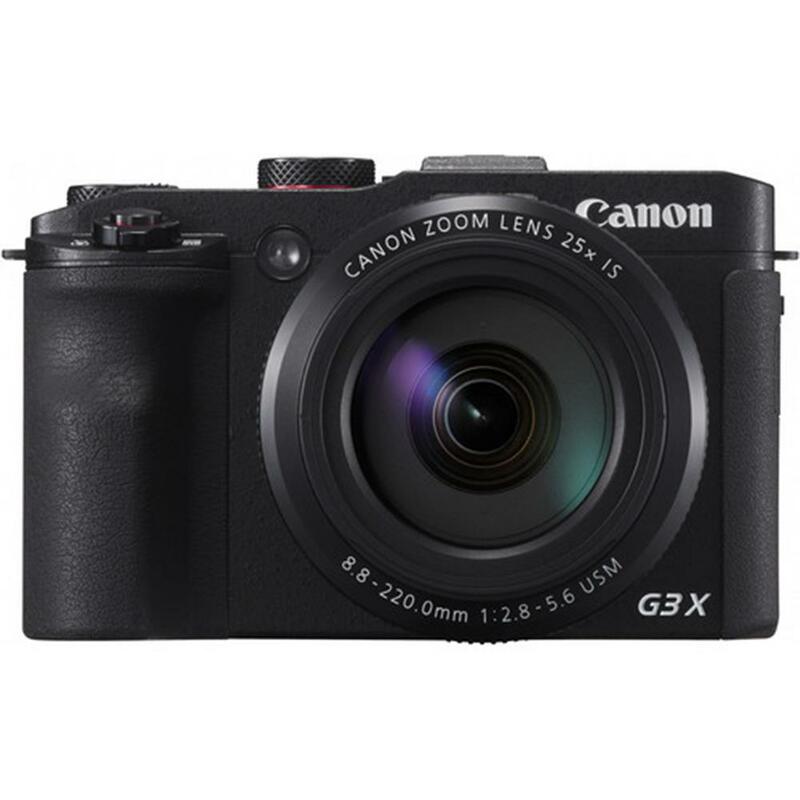 Mounted on the accessory shoe, the electronic viewfinder has a high eyepoint - perfect for those wearing glasses - and has a high precision XGA resolution LCD with 2.36 Million dots and displays the exact information found on the camera's LCD screen. It offers a dioptric adjustment range of -3.0 to +1.0 and can tilt up to 90 degrees, helping to enable steady shooting even on an angle. 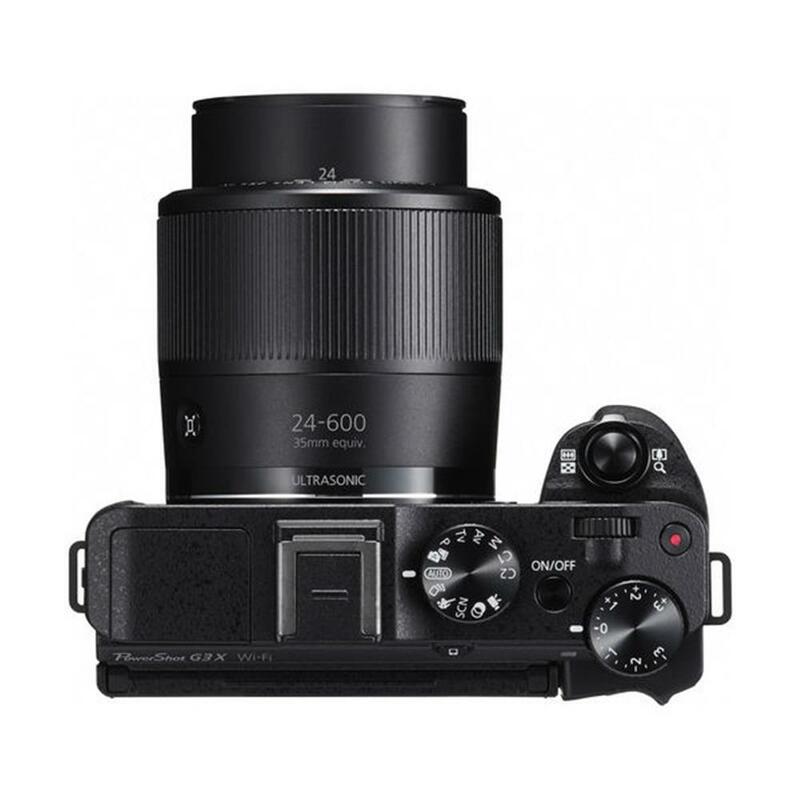 The camera can be directed to switch automatically between the LCD and the viewfinder with an eyepiece sensor, or can be set manually with a dedicated button. 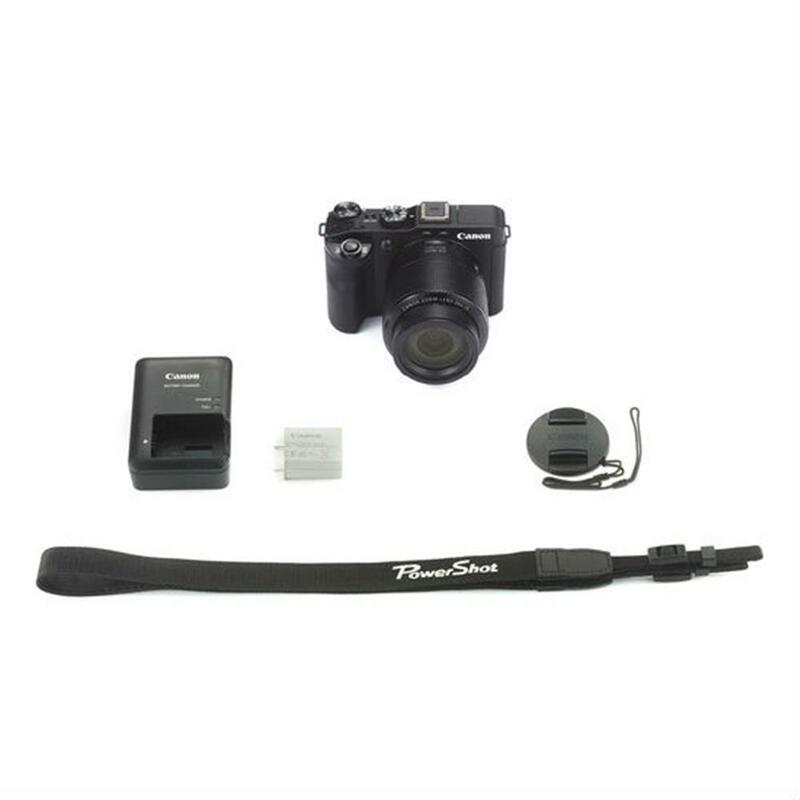 Brightness can be set independently from the camera's screen, perfect for discreet operation. 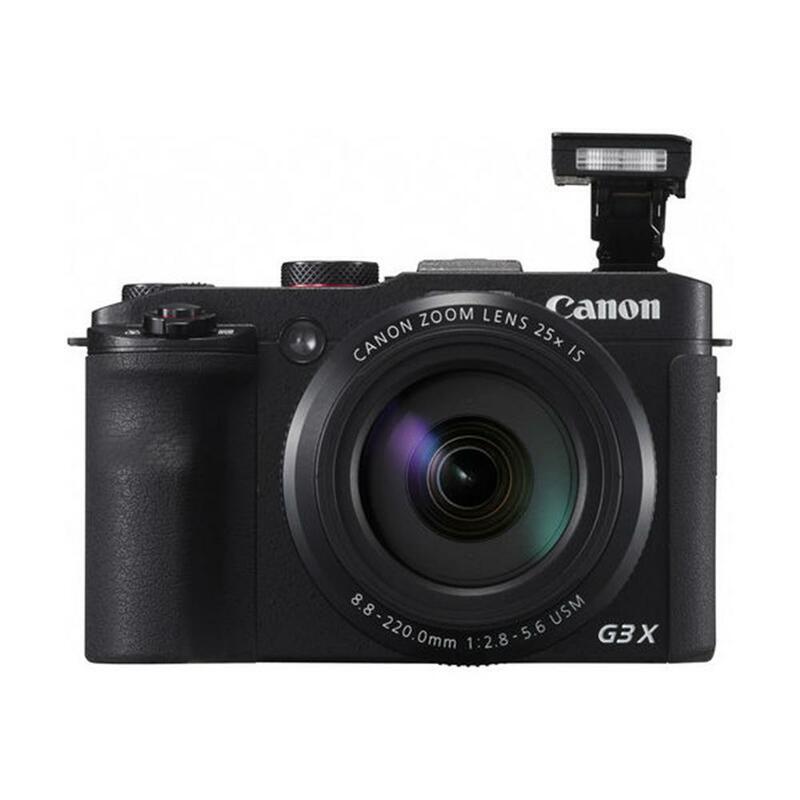 Starry skies were formerly out of reach to all but experienced SLR camera users, however, star shooting modes on the PowerShot G3 X camera make these wonderfully impressive images accessible to all. With just a tripod and simple settings, you can capture exquisite Star Nightscapes, Star Trails and Star Time-Lapse Movies. The modes can be performed fully automatically or with manual controls for extra versatility. Support functions including Night Display, Colour Adjustment and Star Emphasis make any starry sky easier to capture. Perfect for night scenes, fireworks, and other situations where predicting exposure length can be difficult, bulb exposure mode exposes the shot as long as the shutter button is held down - giving you complete control over the image. A tripod and the RS-60E3 Remote Switch are recommended when using this mode. 123.3 x 76.5 x 105.3mm / 4.85 x 3.01 x 4.15 in.